Moscow [Russia], Jan 17 (ANI): Russian Foreign Minister Sergey Lavrov on Wednesday said that Moscow is ready to work with Washington to save the Intermediate-Range Nuclear Forces Treaty (INF), a key arms control treaty, that bans ground-launched missiles with a range of between 500 and 5,500 kilometres. He said that European nations should also come forward in facilitating the talks between Russia and the US to keep the treaty afloat. Slamming the US' for its decision to walkout from the agreement, Lavrov told reporters, "The US delegation came to the talks (in Geneva yesterday) with a pre-set position which was presented in the form of an ultimatum demand that we destroy the missile, its launchers and all the related equipment under the Americans' supervision. They turned a blind eye to our request for analysing our proposals and the real specifications of this missile. Likewise, they refused to listen to our proposals regarding access to information on our concerns about the Americans' non-compliance with that Treaty if we take action to allay the Americans' suspicions. They rejected all our proposals." "The logic of the American approach as expressed yesterday is as follows: Russia violates the Treaty, while the US does not. Therefore, Russia must do what the US demands, while the US does not have to do anything. This approach is not at all constructive. It obviously is part of the policy for destroying all the agreements in the sphere of strategic stability, starting with the ABM agreement. The INF Treaty is another victim. Many countries fear that the US administration also intends to pull out of the Strategic Arms Reduction Treaty (START) as well. We hope this is not the case. We are ready to keep working in order to save the INF Treaty," he added. Urging European countries to not follow what the US says, Lavrov expressed hope that they will try to influence Washington so that "it takes a more responsible position regarding all members of the international community." Last October, US President Donald Trump had announced the US' decision to withdraw from the nuclear treaty. His Russian counterpart, Vladimir Putin, on the other hand, threatened to develop nuclear missiles banned under the INF treaty, if the deal was scrapped. Signed by then Soviet Union Secretary General Mikhail Gorbachev and US President Ronald Reagan in 1987, the agreement is deterrent in nature and was largely designed to prevent prospects of a full-scale nuclear war in Europe. Lavrov said that Russia continued to pursue a multidirectional foreign policy focused on protecting national interests. "We worked to strengthen the positive trends on the international stage, to find collective solutions based on international law to the problems all countries are facing, and ultimately to promote a fairer and more democratic polycentric world order in keeping with objective modern realities," he explained. He underlined that Russia closely cooperated with its allies and partners at the CSTO, EAEU, CIS, BRICS and SCO summits, as well as working constructively in the key global governance bodies, primarily the UN and G20 summit. Stressing that international terrorism has been dealt a "defeating blow" in Syria, Lavrov said, "This allowed to preserve the Syrian state and to launch economic recovery and the return of refugees back home. In keeping with the decisions taken at the Syrian National Dialogue Congress in Sochi, the guarantor countries of the Astana Process - Russia, Turkey and Iran - worked hard to help form the Constitutional Committee by convincing the Syrian Government and the opposition to approve the list of its potential members. This has created conditions for a political process in full compliance with UN Security Council Resolution 2254 in the interests of a lasting settlement of the Syrian crisis." He said that Russia has been following the recent developments in the Korean Peninsula, adding that Moscow has supported the positive trends taking place there. Terming the successful hosting of last year's FIFA World Cup as a "real triumph of public diplomacy", Lavrov said, "Millions of foreign guests visited Russia and saw modern Russia together with its citizens with their very own eyes." "Our undoubted priority is to ensure the national security and other favourable external conditions for Russia's dynamic development and improving Russians' welfare. We are open for creative interaction with all those who do not make bilateral relations hostage of volatile political environment or use them as a tool to achieve geopolitical advantages, but are willing to cooperate honestly and find mutually acceptable compromises based on mutual benefit," the Russian Foreign Minister remarked. 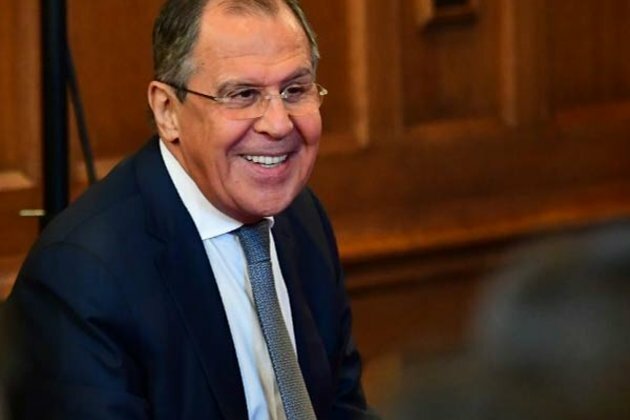 Furthermore, Lavrov batted for the freedom of media and unbiased reporting by journalists in Russia, saying that Moscow is "ready to continue close and constructive interaction with the media in a variety of formats." "I can assure you that we will certainly continue to pay heightened attention to ensuring free and unhindered work of journalists, and to work to maintain the effective observance of the existing international guarantees by all states," he added. Asked whether newly sworn-in Brazilian President Jair Bolsonaro could be a "trojan horse for BRICS", Lavrov said that the former is keen to further cooperate in the development of the summit while opining that he does not see any reason that Brazil will play a destructive role in the five-member regional body.